A lot of people think money is the inspiration for authors to write. Well, maybe it is for some of the big names out there, but if you aren’t well known, you will starve if you depend on the income from your writing as a means of support. Money is definitely not what inspires me to write. So what does? 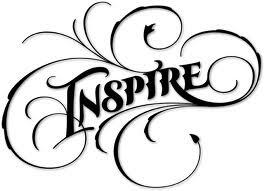 The events in my life are part of what inspire me. A lot of my ideas come from the crazy things that go on around me, but writing about them isn’t always the first thing I think about. If what happens is traumatic, I usually just want to lose myself in a book and get away from everything and everyone. The basic inspiration for Softly and Tenderly was obviously the death of my mother, but she died 39 years ago. The idea for the story I wrote came to me after something a friend said to me, but I honestly can’t remember what she said. I just know that it lit a fire inside of me, and I had to get the story written or explode. The novella I wrote is only the beginning of a much larger story. When it picks up next, Lori is five years older. The beetles have pretty much left her alone for the past five years, but now they are back. They have so much in store for her yet. The inspiration for another book I’m writing, Whisper, came from when a spider crawled back in my ear and spent most of the day there. Truth be told, I didn’t know it was a spider. If I had known that, I probably would have gone straight to the doctor and had him get it out of there, just so I didn’t cut my ear off. All I knew was that some bug had climbed back inside my ear. When I finally washed it out with hydrogen peroxide that evening, – and yes, I had tried that several times throughout the day – my daughter informed me it was a spider, and the little beast was still alive. Then she proceeded to put the culprit in a jar and keep the spider as a pet until it died. I about hyperventilated. I couldn’t let the situation go to waste, so I decided to write a story about an evil spider. Now something happened in my life the other day that actually inspired me to write a story that wasn’t scary. I guess there really is a first time for everything. Well, it’s not scary to me. The story is aimed at children. My puppies got lost in the sea of grass that our pasture has become. The grass is so tall that I refuse to walk in it. A few parts might have some kids sitting on the edge of their seats, but it does have a happy ending. I’m even inspired by the books I read. I have the opening part of a book written out that came to me while I was reading a short story by Rene Folsom. Before I was through the first sentence of her story, an idea slammed into me and wouldn’t leave me be. I even wrote an article about it - Why Authors Need to Read. One day I will pull the opening back out and develop it more. So basically what inspires me to write is life: daily happenings, conversations, the things I read. Strange, exciting, and terrifying things happen all around us throughout each day. All an author needs to do is to pick up on them and write about them. Don’t write these events as they actually happen, but use them as a basis for your story. I did not see beetles crawling out of my mom while she was in her casket, neither did she sit up and grab hold of me. And I have a perfectly normal family. But what really happened just wouldn’t make a very interesting story.